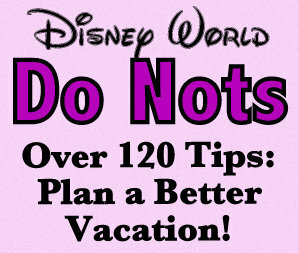 Many parents new to all this Disney planning stuff don’t realize that Disney vacations are tiring, and it’s a good idea to plan a “free day” mid-vacation just to keep from stressing everyone out. (If you can afford it, we actually recommend two days if you are staying for six days or more.) For those parents not into tantrums and meltdowns, be aware that heat, exhaustion, overstimulation, and an altered schedule starts to wear out little bodies. 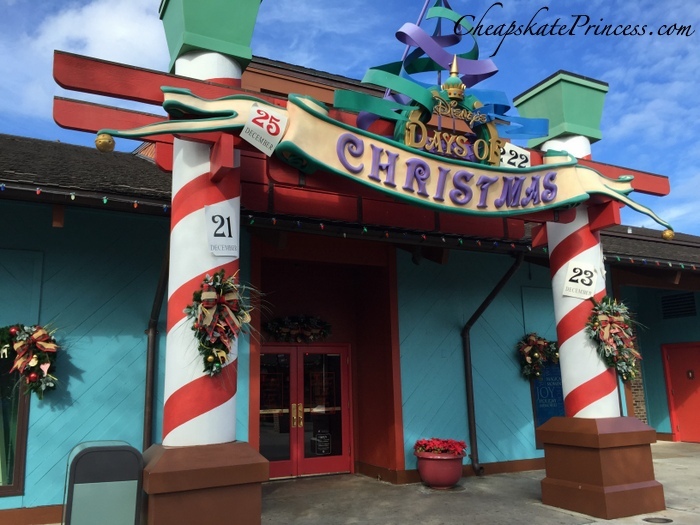 If you are already in Orlando, you might as well make plans for a day to enjoy life beyond the theme parks, because there really is a lot to do besides roller coasters and in-park character meet and greet lines. 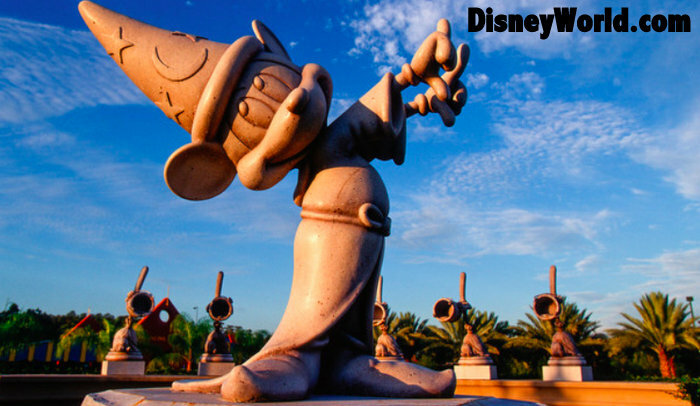 These are our favorite tips for a free day at Disney World. Staying on or off property, many resorts have great swimming pools available for your use. Most kids love to swim, so put on the sunscreen and head to the pool. This is a free option in that you paid to stay there, so swimming is thus free. 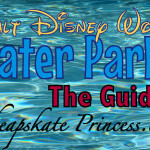 If the kids want to do some more serious swimming on a free day, there are several ways to purchase tickets to the Disney World Water Parks listed below. DisneyQuest Indoor Interactive Theme Park This is closing, so don’t count on this. 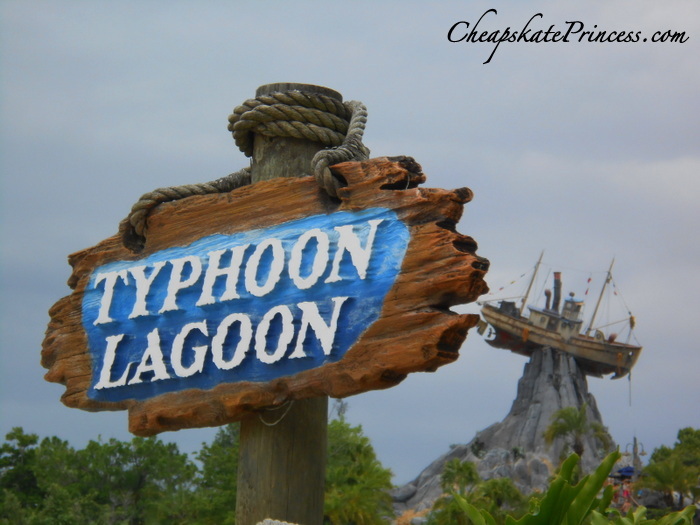 Tickets for Disney’s Typhoon Lagoon and Blizzard Beach start at $53 per day before taxes. With both thrill and chill rides, relaxing lounge areas, wave pools, snorkeling adventures and much more, these water parks makes your local pool look like a $20 plastic back yard kiddie pool. Both parks have areas specifically for younger children. Use this link for more info. 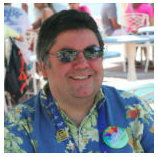 on Disney water parks and ticket options. 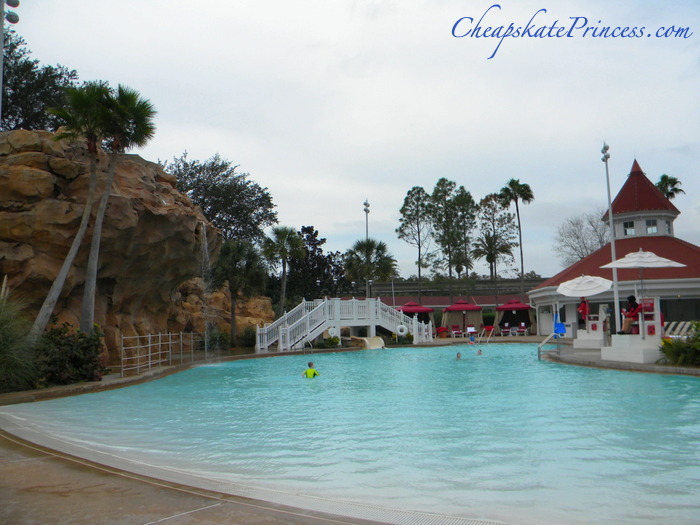 Resort hopping is simply looking around the Disney resorts where you are not staying, which is 100% allowable and 100% free. What better way to decide where you want to stay on your next trip than by looking around? 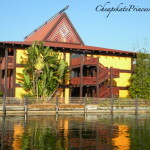 Each resort has a different theme, so ask the kids which location they like best. Use this opportunity to talk about finances, because there are big price differences in the three resort levels of accommodations. 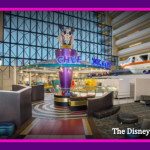 The All-Star Resorts, Art of Animation Resort, and Pop Century Resort have the most to offer young children in terms of looking around and taking pictures. 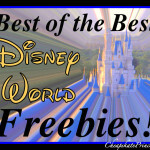 Here’s our guide to making the most of time spent looking around: Disney World Resort Hopping: A Cheapskate Guide To Free Fun! 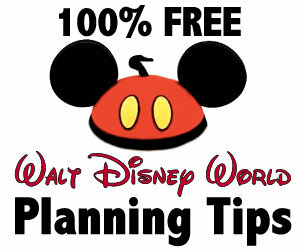 Wow, is there a lot to do at Disney Springs, which has been completely renamed and re-imagined from Downtown Disney, with some free activities and other things to do that are definitely not so free. 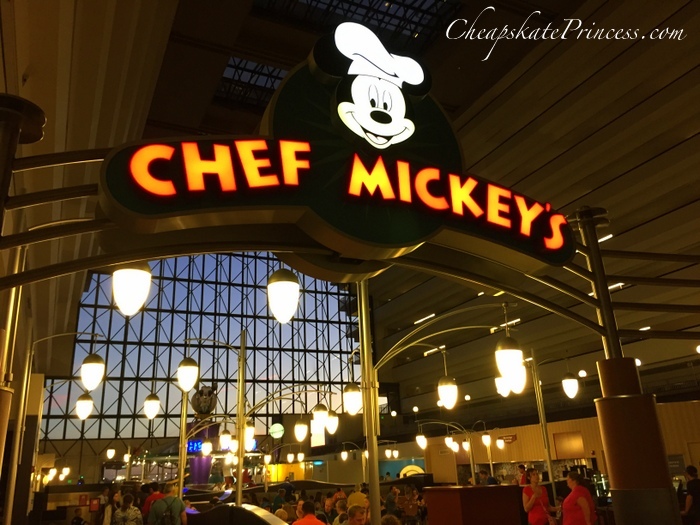 Use this link for our ideas on how to experience the Disney Springs balloon and save money: Characters in Flight at Disney Springs: A Cheapskate Guide. Take the kids to celebrate the spirit of Aloha with entertainment including dancers, drummers and a show-stopping fire-knife performer all within the confines of the Polynesian Village Resort’s open-air theater in Luau Cove. Adults will enjoy Island pulled pork, BBQ ribs, roasted chicken and a vegetable medley, honey-lime slaw, pineapple-coconut bread, and for dessert, warm pineapple bread pudding with caramel sauce. The kids will enjoy mini corn dogs with tater tots, cheese pizza, and either grilled chicken or mahi mahi with rice and green beans. The price here is over $60 per adult, and advanced reservations are highly recommended. 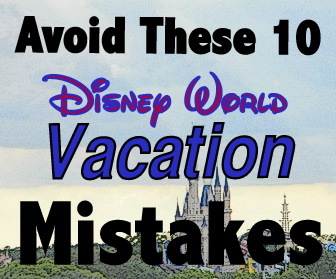 Make those up to 180 days prior to your visit. Located at rustic Pioneer Hall in Disney’s Fort Wilderness Resort & Campground, the Pioneer Hall Players provide two hours of Wild West dancing, singing and zany vaudeville comedy. You and the kids can clap your hands, stomp your feet, and sing along. For dinner, you will dine on buckets of all-you-care-to-enjoy fried chicken and smoked BBQ pork ribs, as well as a tossed green salad, baked beans, fresh-baked cornbread and strawberry shortcake. Unlimited draft beer, wine and sangria are included for Guests 21 years of age and up. Soft drinks are also included. 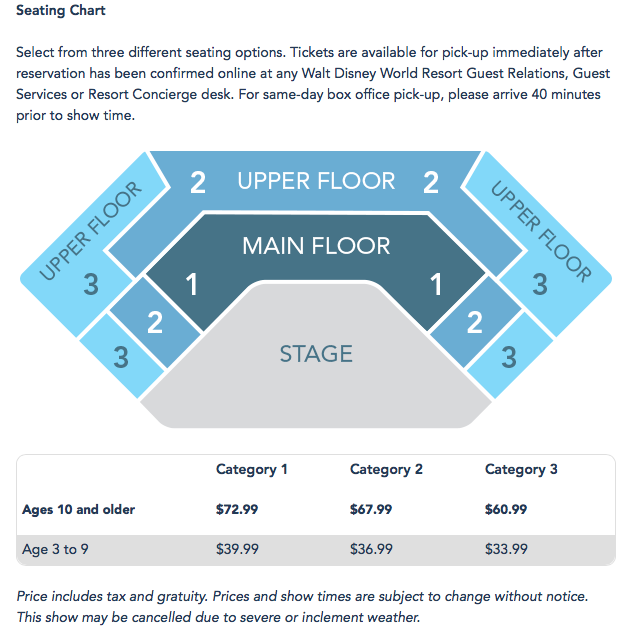 Prices are $59 to $68 per adult. Over at the Campsites at Disney’s Fort Wilderness Resort, there is a covered, open-air pavilion for a music-filled hoedown with some favorite Disney Characters like Mickey Mouse, Minnie Mouse, Goofy, and Chip ‘n Dale. You will enjoy an all-you-care-to-enjoy BBQ spread including barbecue ribs, smoked chicken, hamburgers, hot dogs with all the trimmings, corn on the cob, macaroni and cheese, lemonade, fruit punch and soft drinks, plus complimentary wine and beer for Guests 21 years of age and up. Guests will enjoy cowboy rope tricks, a live country-western band, and line dancing with Disney friends. 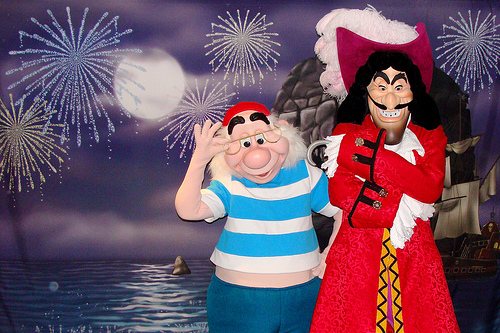 Several times each night, Disney Characters mingle with guests for photos and autographs. The cost is $30 to $60 per adult. Just a short 15 minute drive away from the Disney property is the planned town of Celebration, Florida. 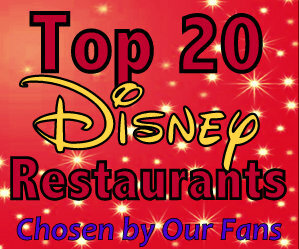 Adults will enjoy the shopping, Starbucks, and restaurants. Kids will enjoy a large fountain just right for splashing by the lake, plus candy and toy stores. Every night during the Christmas season, the snow falls at 6, 7, 8 and 9 p.m. Stop to have your photo made with Santa, plus there is other entertainment like strolling holiday carolers, an ice rink, entertainment and more. 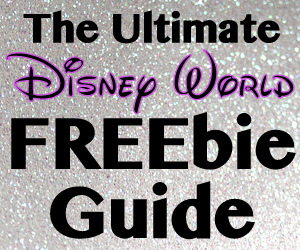 This is our guide to locating the free activities in Celebration: Free Fun in Celebration Florida: A Cheapskate Princess Guide. Skating is a reasonable $10.00 for a 1/2 hour minimum skate, with your skate rental included. 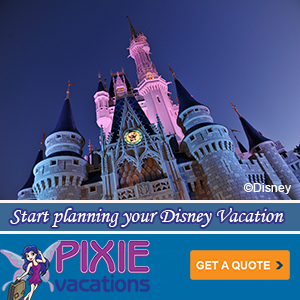 Disney’s Fort Wilderness Resort & Campground offers campsites starting at just $69 (2015.) On 750 acres of pine and cypress trees, you can see wildlife like deer, rabbits, ducks and armadillos roaming the woodland trails inside this woodsy backcountry retreat. We mentioned two dinner shows located at Ft. wilderness, but there are a lot of other activities here kids would enjoy as well. 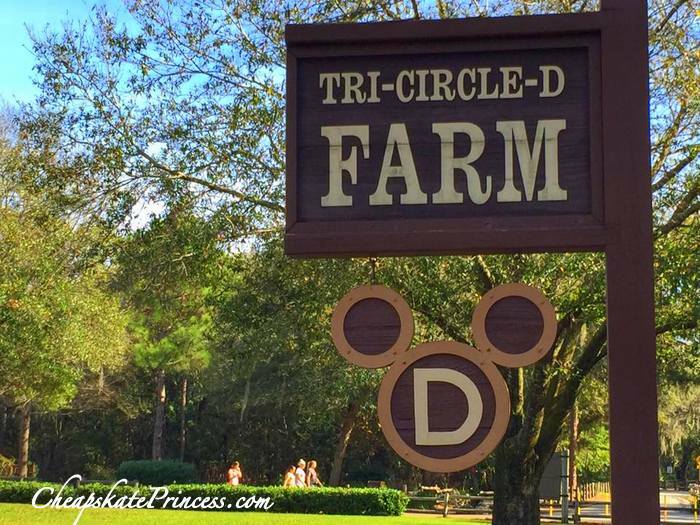 (Day) At the Tri-Circle-D Ranch from 8:00 a.m. to 3:30 p.m., you can walk through the stables to see Cinderella’s Ponies and the horses of Main Street, U.S.A.. You might get to see the blacksmith make and apply horseshoes. There are many different horse breeds residing at Tri-Circle-D Ranch, including Appaloosas, Arabians, Belgians, Clydesdales, paint horses, Percherons, quarter horses, and Shetland ponies. Advise the kids that as a free activity, they will be doing far more looking than petting. (Night) Ft. Wilderness is home to a free campfire program sing-along and movie, although there is a charge for refreshments. This event usually begins around 7 p.m. in fall/winter and 8 p.m. after the time change in April through summer. (Night) During the Christmas season, vacationers staying at Ft. Wilderness adorn their campers, golf carts, and tents with a huge display of Christmas lights and decorations. It’s wise to take small flash lights with you, as some of the woodsy roads through the campground are not well-lit. Smaller children with darkness issues might feel better with some extra lights. (Night) Take an old-fashioned, 25 minute horse-drawn wagon ride on a tour of the campground property. Available on a first-come, first-served basis, wagon rides depart daily at 6:00 PM and 8:30 PM (weather permitting) from the front of Pioneer Hall. 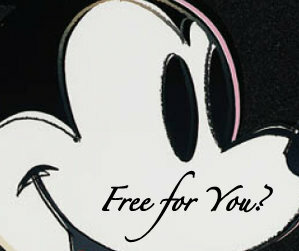 The cost is $8 for guests ages 10 and up and $5 for guests 3 to 9 years of age. Traveling with a really big group? Group wagon rides (for 30 to 35 Guests) cost $300 per hour and are available with 24-hour notice. If you have stayed for the Electrical Water Pageant, now stay to watch the Magic Kingdom Wishes fireworks show from one of the many Disney resorts on the monorail loop. At the Polynesian Village Resort, the fireworks are visible directly across the Seven Seas Lagoon. The show music is piped in, so while you might not be at the Magic Kingdom for Wishes, the kids will still get the show feel. Before or after the fireworks, grab a bite to eat or a snack. 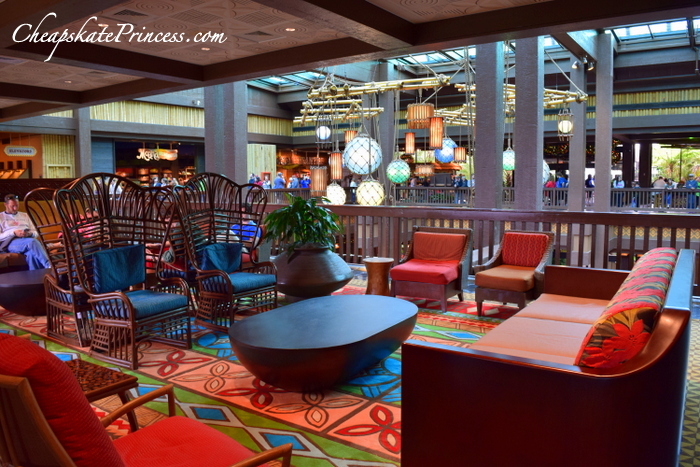 Hang out in the remodeled Polynesian lobby, which is beautiful at night. You will also have a clear view of the fireworks from the Ticket and Transportation Center located next to the Polynesian. Each night at Disney resorts, a complimentary movie screening is available to Guests of Walt Disney World Resort hotels. Whether on the beach, poolside or surrounded by the woods, enjoy relaxing evening entertainment that’s fun for the whole family, plus this is FREE! Some resorts have chairs while other resorts just have guests sit on the ground, usually on their own towels, so it does;t hurt to ask what the seating arrangements are beforehand. For movie schedules, please check with the Front Desk at your Walt Disney World Resort Hotel, or call (407) 939-2273. Movies and entertainment are subject to cancellation or change without notice. 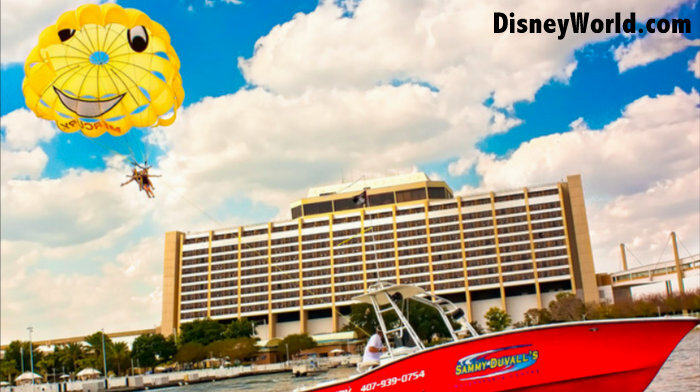 By taking a parasail ride at Sammy Duvall’s Watersports Centre, think of the views of Disney’s Contemporary Resort and Magic Kingdom you have from high up in the air. For those not into getting soaked with lake water, you won’t even get wet! Set out on a standard flight, where you’ll coast through the air for 8-10 minutes, 450 feet off the back of the boat. Or, float even higher in the sky on a deluxe flight where you’ll flutter gracefully for 10-12 minutes, 600 feet behind—that’s as long as 2 football fields! Come dressed the same way you would if you were heading into one of the parks; no swimsuit is required. Bring sunglasses along for the ride, and don’t forget some sunscreen. All fliers must be six years of age and up, and the combined passenger weight in the parachute must be between 130 and 330 pounds. If a flier is under the minimum weight requirement, he or she may ride tandem with another child or adult to reach the minimum weight. Please arrive 15 minutes early for check-in. Minors under 18 years of age must have an adult present to sign waivers prior to boarding. 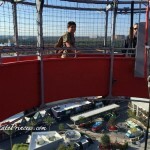 Operating hours are 9 am to 9 pm, and the cost is $95 to $170 per person. Use this link for more information. 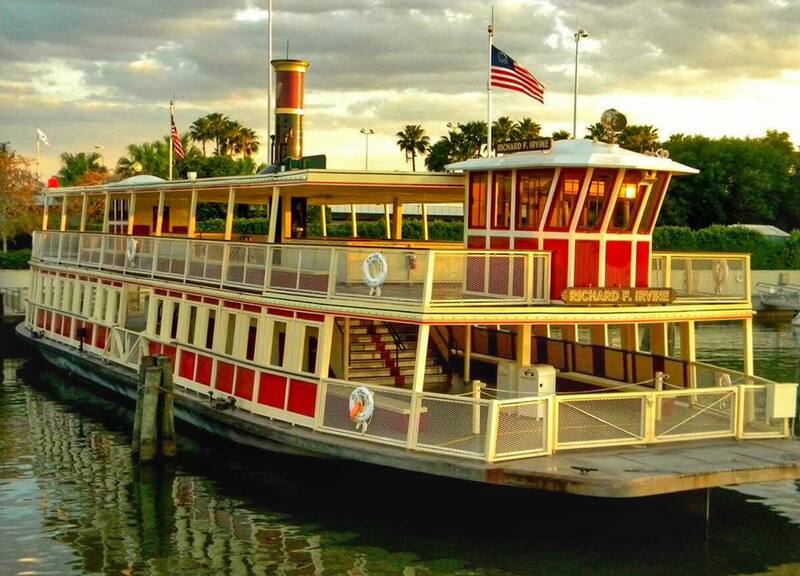 Adventure One – Explore Bay Lake and Seven Seas Lagoon on a guided tour, where you follow the leader to an array of one-of-a-kind sights, including Discovery Island, Magic Kingdom park and more. On this one-hour adventure, you may see animals like river otters or elusive Bald Eagles. Adventure Two- For those who want to chart a new course, set off into our buoyed-off private riding area under the supervision of an official Sammy Duvall’s Watersports guide. 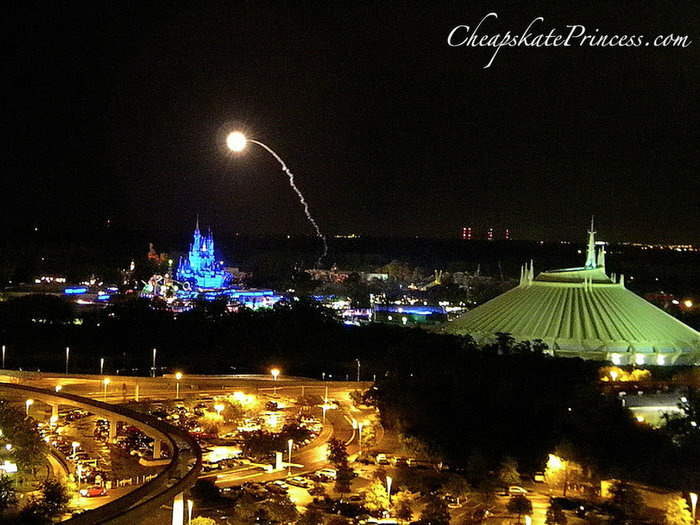 Either choice offers you an all-new view of Walt Disney World. Before taxes, the price is $135 per PWC (not per person), and allows up to 3 riders or 400 lbs. Use this link for more information. 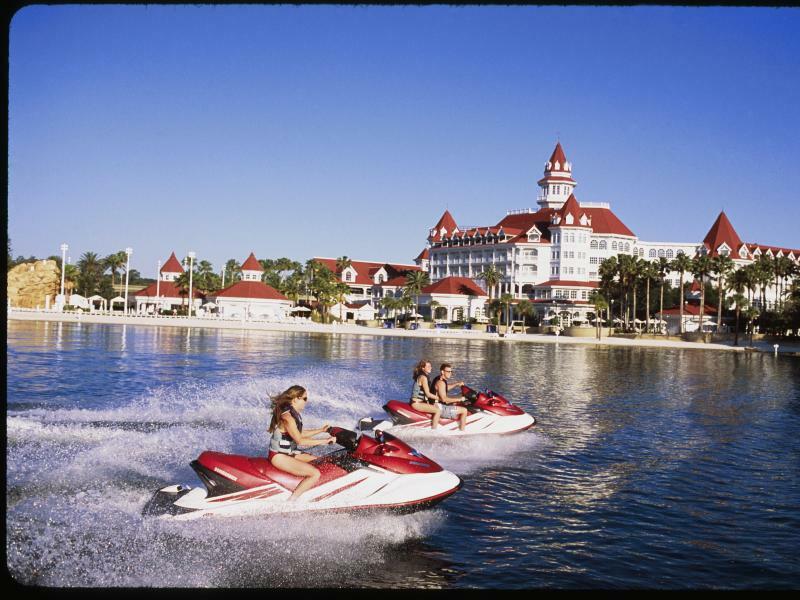 Sammy Duvall’s Watersports Centre, located at Disney’s Contemporary Resort marina, offers other water activities in addition to tubing and PWC rentals. Ride atop an inner tube towed by the pros. From mild to wild, you will control the ride with a set of hand signals. The price is $165 which includes a ski boat for 60 minutes, driver/instructor, equipment and up to 5 guests. Cost is for the boat rental, not the price per passenger, and does not include tax. Use this link for more information. World-class instructors can accommodate all ages and skill levels, from first-timers to first-rate. Kids and beginners will have a private dry lesson will show you all the key tips you’ll need. More advanced skiers will enjoy top-level instruction to up your skills. The price is $165, which includes a ski boat for 60 minutes, driver/instructor, equipment and up to five guests. The cost is for the boat rental, not the price per passenger, and does not include tax. Use this link for more information. Towed at high speeds, tearing back and forth across Disney’s Contemporary Resort marina like a true champion of the water, there are wake boarding thrills for all ages and skill levels. For kids and beginners, a private dry lesson will explain all the necessary know-how to become an aquatic wonder once you hit the wake. For the advanced, a little top-level instruction can help you improve your technique and show you how to bust that big trick you’ve been after. The price is $165, which includes a ski boat for 60 minutes, driver/instructor, equipment and up to 5 guests. The cost is for the boat rental, not the price per passenger, and does not include tax. Use this link for more information. A free day could provide the opportunity to celebrate a special occasion or enjoy a relaxing cruise aboard a deluxe pontoon boats. Drop your anchor for the world-class fireworks of Magic Kingdom park or Epcot during an evening cruise, where you will experience the fireworks within Epcot when your pontoon boat sails up International Gateway near World Showcase Lagoon. 21-foot pontoons hold up to 8 guests. 25-foot pontoons hold up to 10 guests. A Captain accompanies each Specialty Cruise. Assorted snacks and soft drinks are served. On the 21′ Tracker Pontoon, the Magic Kingdom show price is $292.88, tax included for your group of 8 guests. Water, soda and bagged snacks are included. The sound from the fireworks show is not provided on the boat. 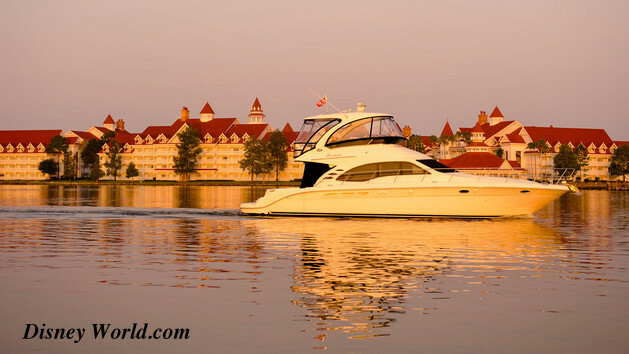 On the 25′ Tracker Pontoon, the Magic Kingdom show price is price is $346.13, tax included for your group of 10 guests. Water, soda, and bagged snacks are included. The sound from the fireworks show is provided on the boat. The price for the only IllumiNations cruise is $325 plus tax for up to 10 guests. Price includes pontoon boat, driver, water, soda and bagged snacks. Fireworks are not guaranteed = On the rare occasion, fireworks shows may be rescheduled or canceled. Guests are encouraged to call to reconfirm the fireworks schedule at least 2 weeks prior to arrival. Also, it is customary to give your “captain” a gratuity. For more information, use this link. How about a boat trip where everyone dresses up as pirates?! 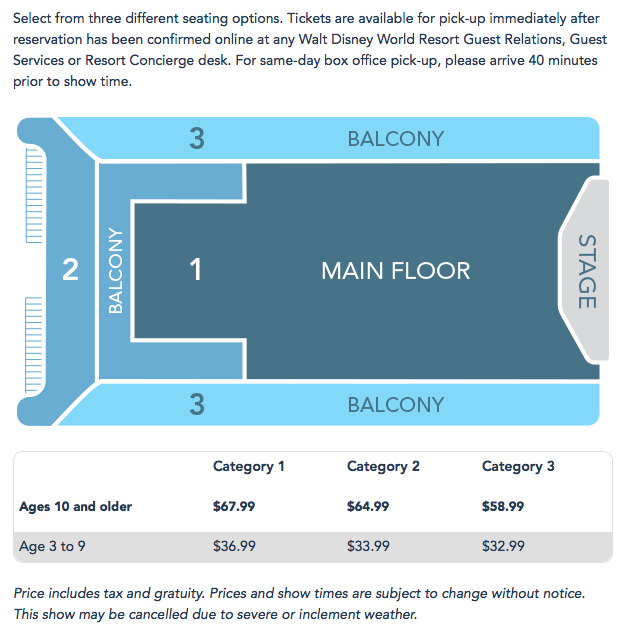 The price is $33 for ages 3 – 9 and $57.50 for anyone age 10 and up. Depending on what services you want to pay for, you will choose a hairstyle, make-up, and nail color. You can add accessories, a Disney princess costume, and keepsake photo in a princess-themed photo holder if your brought $$$. Packages start at $54.95 plus tax and go up to $189.95. Bibbidi Bobbidi Boutique can be found inside Cinderella Castle at Magic Kingdom, but on a free day, you’ll want to visit the other location inside the World of Disney store in Downtown Disney Springs. 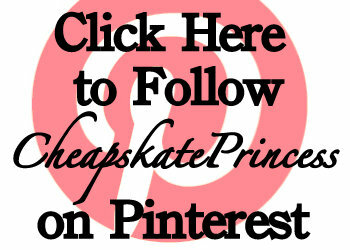 Use this guide for more information: Bibbidi Bobbidi Boutique: A Cheapskate Princess Guide*. Ferrytale Wishes: A Fireworks Dessert Cruise lets you see the fireworks show Wishes from a completely new viewing location. 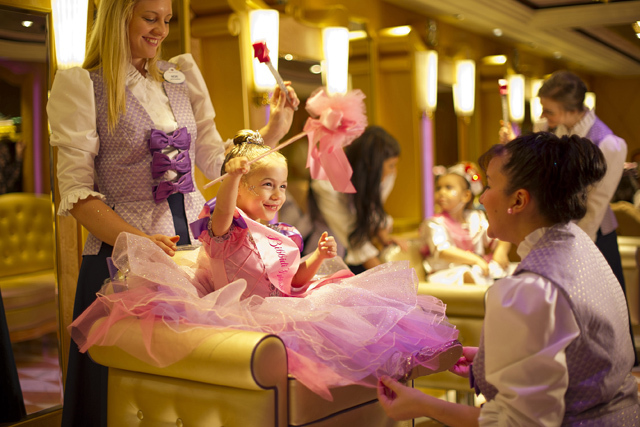 You’ll be on board one of Disney’s ferrys, enjoying all sorts of fabulous food and drinks. Guests will board the ferry at the Ticket & Transportation Ferryboat Dock one hour prior to Wishes Nighttime Spectacular. 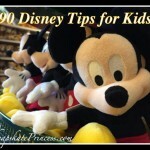 The cost is $99 for guests over the age of nine and $69 for children ages 3 to 9. These prices include taxes and your gratuity. Afternoon Tea at Garden View Tea Room is held at the Grand Floridian Resort and Spa. Afternoon Tea is offered seven days a week and is held from between 2:00 p.m. and 5:00 p.m. 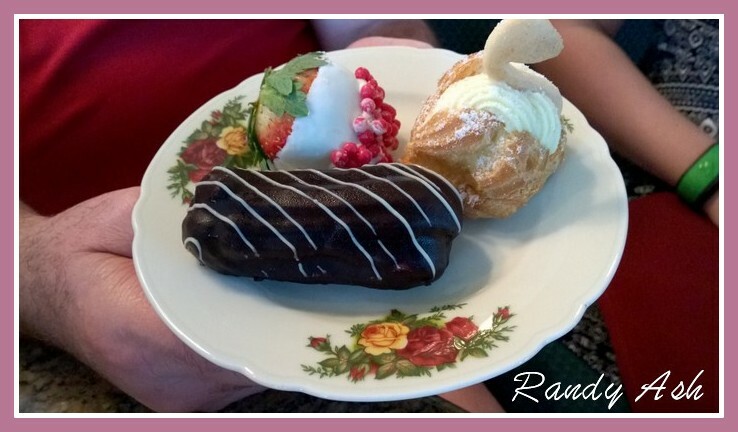 The cost for tea and assorted finger foods range from $13 to $45, For more information including menu items and specific prices, use this link. 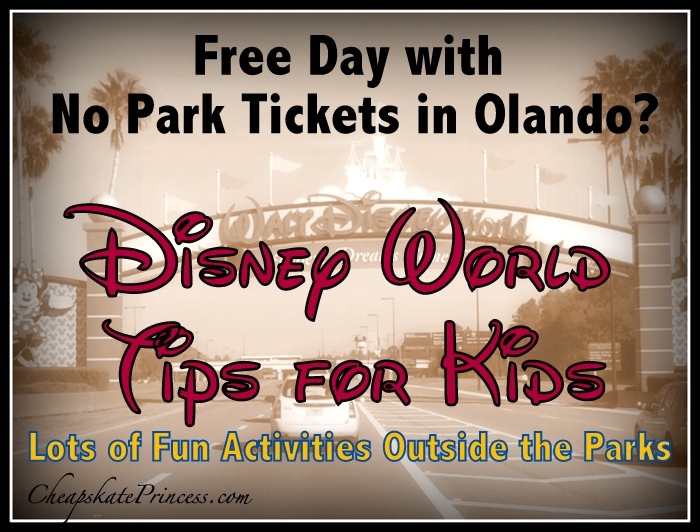 And there you have it, tons of activities for a day at Disney World that doesn’t include park tickets. Your “free day” can be as relaxing or exciting, or as free or expensive as you want it to be. 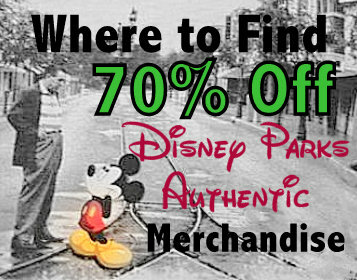 The true beauty of a trip to Disney World is never running out of things to do. You will just never be able to see and do it all without running out of time. Running out of money, well, that’s a different matter altogether. Thanks for stopping by, and we’ll see you after you woke the family up late, headed for your resort pool and perhaps a movie at Disney Springs.